Las Vegas moved one step closer Wednesday to getting its own art museum, slated to be built just east of the Smith Center for the Performing Arts. The Las Vegas City Council OK’d Wednesday extending an agreement into 2019 with the nonprofit group behind the museum, setting a fundraising goal for twice what the city has put into it. Las Vegas Councilman Cedric Crear said he wants a better idea of the cultural programs the museum will offer, and said the museum’s board should reflect the ward’s diversity. “The people of Ward 5 need to have a better idea of what they’re going to get for their $3.5 million investment from the city,” Crear said. The city has contributed $2 million to the project, plus the land and the fair market value of any parking facilities the city dedicates to it, Economic and Urban Development Director Bill Arent said. Katie O’Neill, board chairwoman for the Art Museum at Symphony Park, said Las Vegas is the largest metropolitan area in the country without an art museum. “We lack a basic amenity that all of our peers have,” O’Neill said. The Art Museum at Symphony Park is merging with the Nevada Museum of Art in Reno to become a statewide entity, with board members that represent both parts of the state, said Nevada Museum of Art Executive Director David Walker. Walker envisions a four-level museum with 35,000-square-feet of exhibition space, a restaurant, retail store and theater. Walker hopes the fundraising campaign builds the museum’s endowment fund and results in promised gifts of art, on top of raising funds for the building, he said. “We will be completely without pretension. We won’t have guards telling you ‘no, no, no, no, no,’” Walker said, adding that employees stationed in the exhibition space will be knowledgeable about what’s showcased in galleries. Where the Reno museum has done an exhibition on the history of Lake Tahoe, Walker could see the Las Vegas museum highlighting water issues and the Hoover Dam, he said. “We have a lot to learn from Reno in this regard,” Councilman Bob Coffin said. The museum is one of a handful of projects in the works at the city’s 61-acre Symphony Park, a former Union Pacific railyard that officials envision as a downtown Las Vegas hub where the recession long delayed redevelopment. 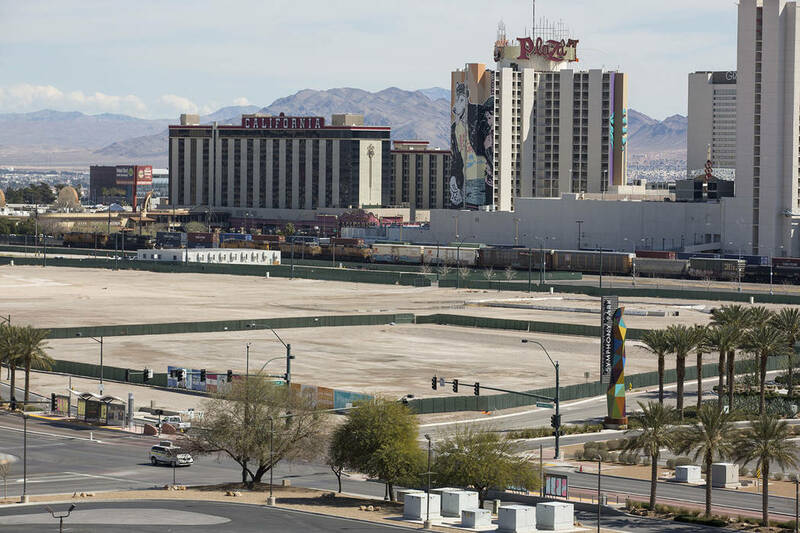 Apartments and a possible hotel are expected to join the Smith Center, the Lou Ruvo Center for Brain Health and the Discovery Children’s Museum in Symphony Park. A new expo center is planned for the World Market Center campus across Grand Central Parkway. Crear, who was sworn in last month, said many Ward 5 residents don’t feel a part of what’s going on in Symphony Park. “We can change that,” he said.